100 Toy Soldiers / 100 Pc. 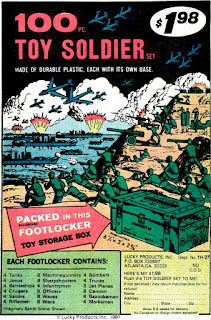 Toy Soldier Set - &etc. Some of many identities used by the people ('jobbers') who sold mostly Hong Kong sourced small-scale sets of usually flat figures through adverts in American pulp and 'Super-hero' comics from the 1950's through to the 1980's. 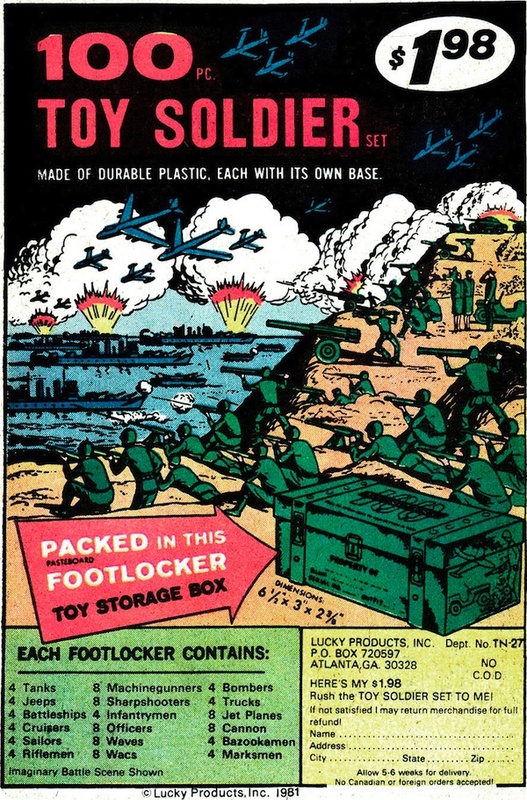 "Made of durable plastic, each on its own base"